You know what I love? Simple recipes. I love when I don’t have to go out and buy a million ingredients just for one recipe. 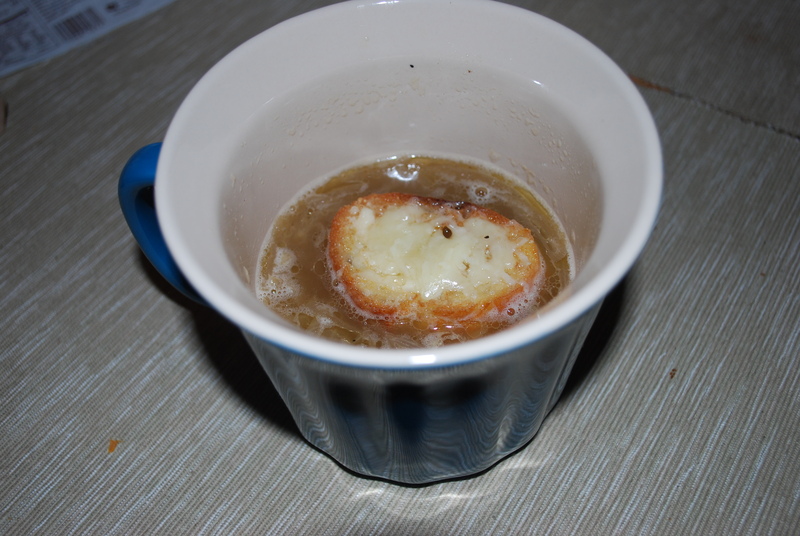 That’s why this French Onion Soup recipe is great. 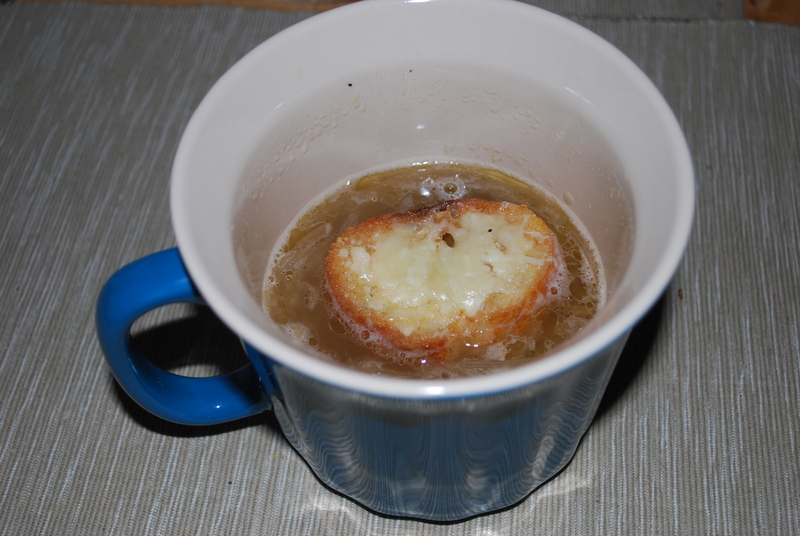 It’s the easiest French Onion Soup recipe ever. Seriously. It’s just beef broth and onions. That’s it! 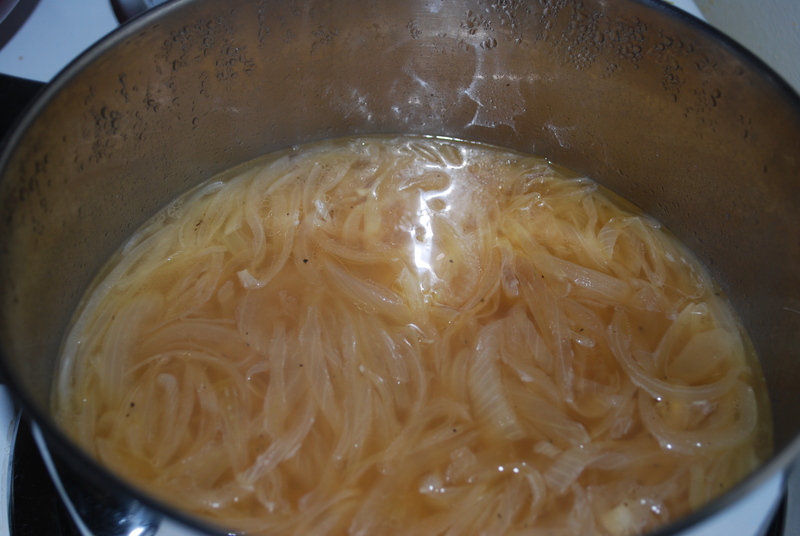 I have to admit, I was quite skeptical when I began making it… beef broth and onions… that’s it? This can’t be right. So I called my mom (it’s her recipe) and asked if I forgot to copy something down, but she assured me I had all the ingredients correct. So I made the soup, still a bit unsure even though it smelled delicious. Then I tried some… wow!!!! It’s incredibly delicious! I was amazed that something so simple could be that amazing! 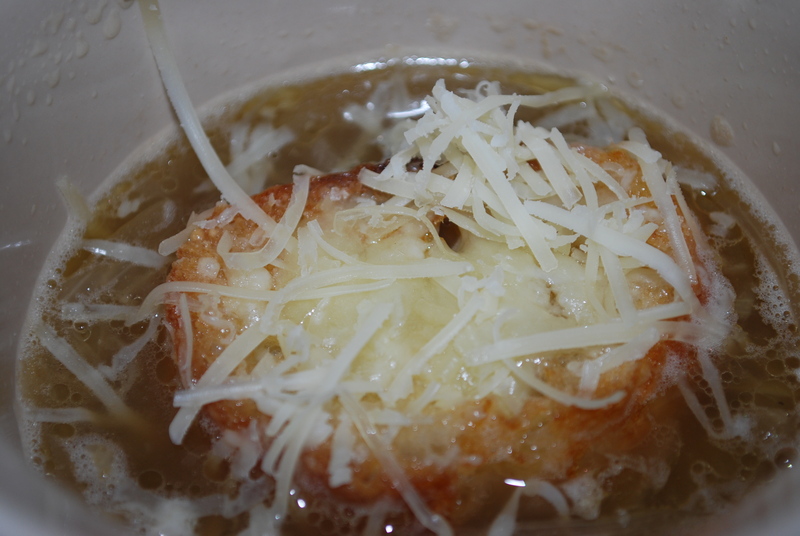 Then I added the toasted bread with Gruyere and Parmesan to the soup and was in absolute food heaven. 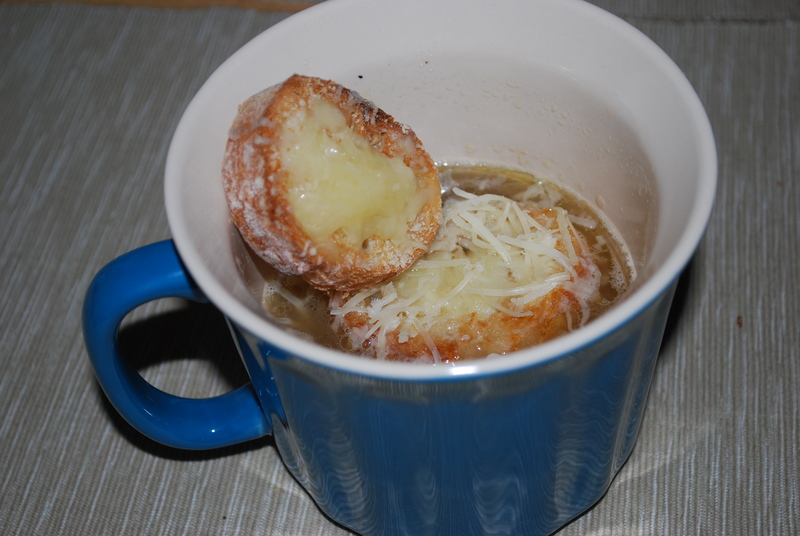 I thought it was even better than Panera’s French Onion Soup, and that’s one of my favorites. You have to give this a try. 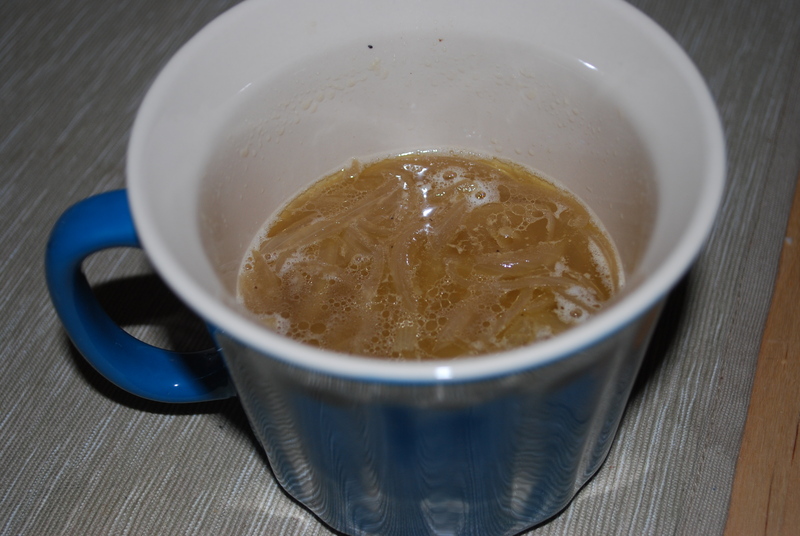 Just beef broth and onions. And it is AWESOME!! 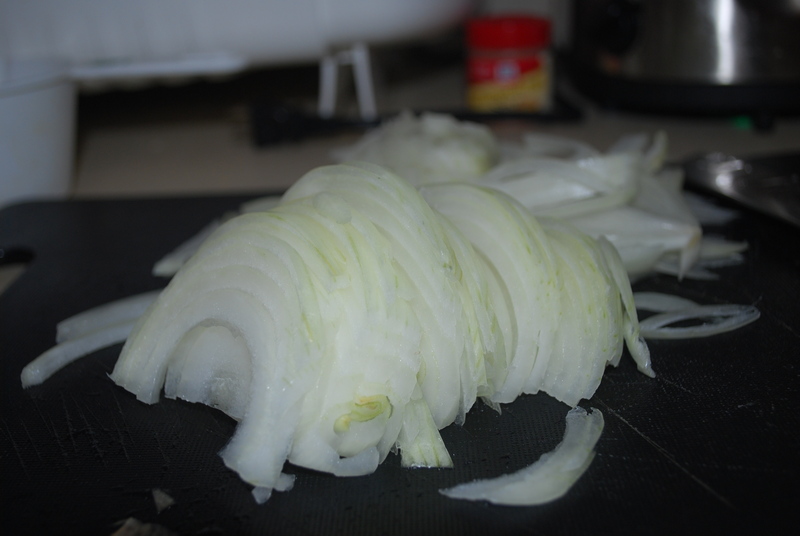 First, thinly slice 2 yellow onions. 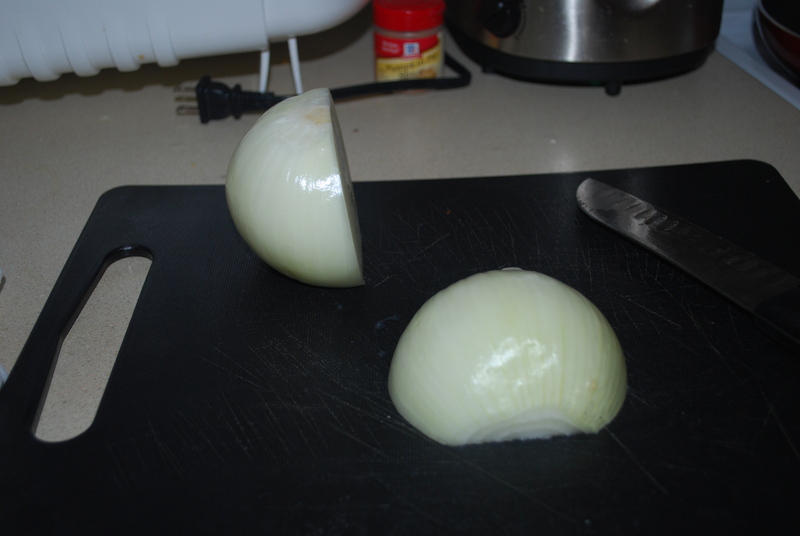 Cut the top and bottom of a yellow onion, peel off the outer skin, then cut the onion down the middle, pole to pole. Next, thinly slice each half. 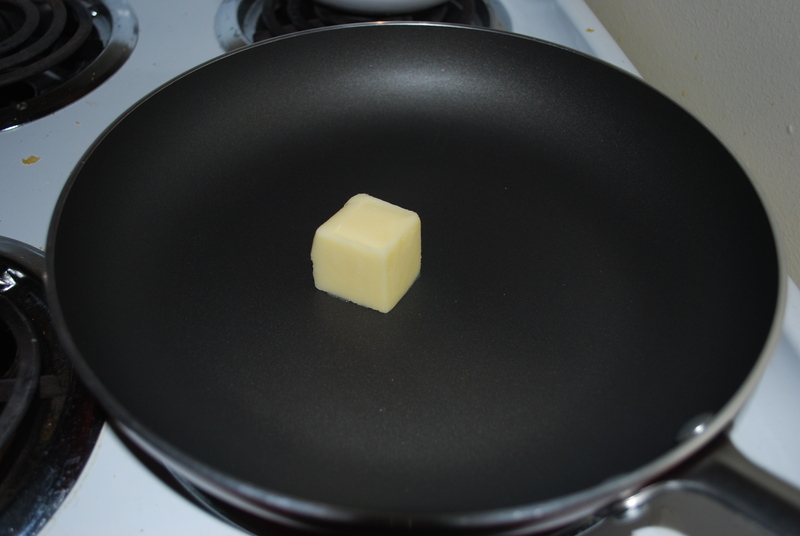 Melt 1/4 cup butter in a large skillet on medium-high. Add in the onions, season with salt and pepper, and cook until golden (NOT brown) approximately 8 minutes. While your onions are cooking, get your broth ready. Add 4 cans beef broth to a medium saucepan. 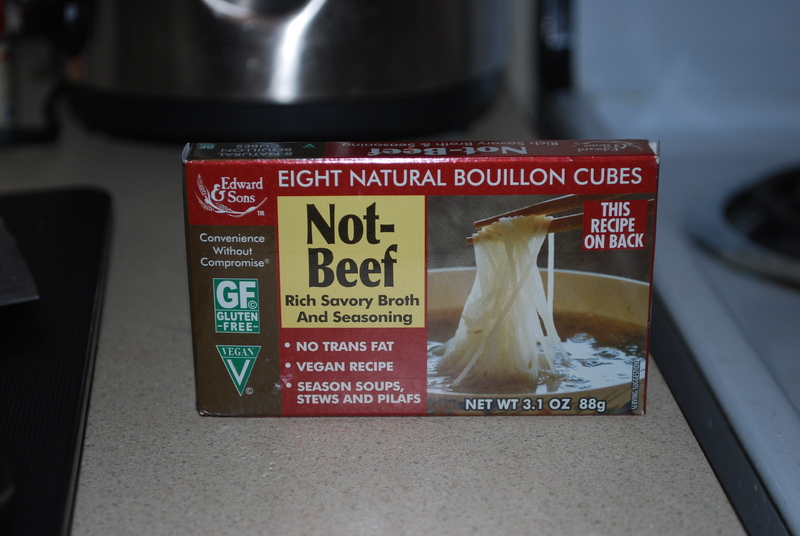 Since I had beef bouillon cubes, I used those instead. So while my onions were cooking, I boiled water and added my bouillon cubes. 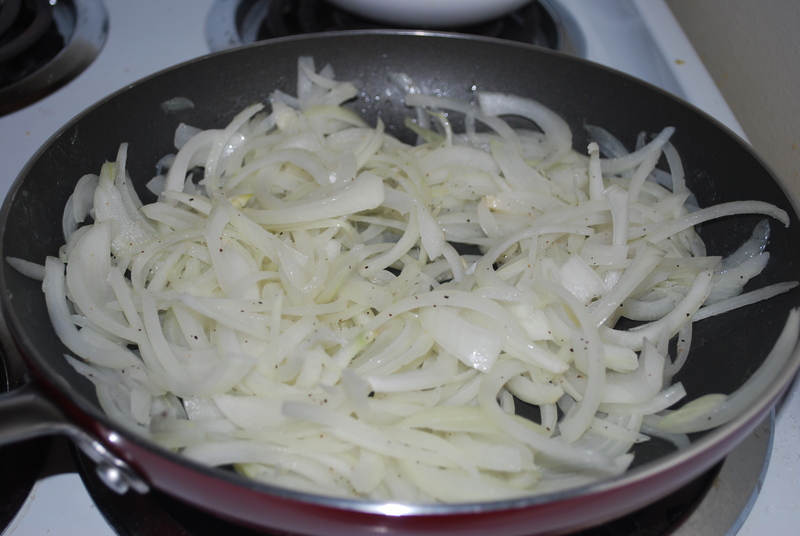 When the onions are golden, add them to the saucepan with the broth and bring to a boil. Once it’s boiling, reduce the heat and simmer, covered, for 30 minutes. To simmer, bring the liquid to just below a boil – there should be small bubbles rising to the surface, but not as vigorously or as often as a boil. 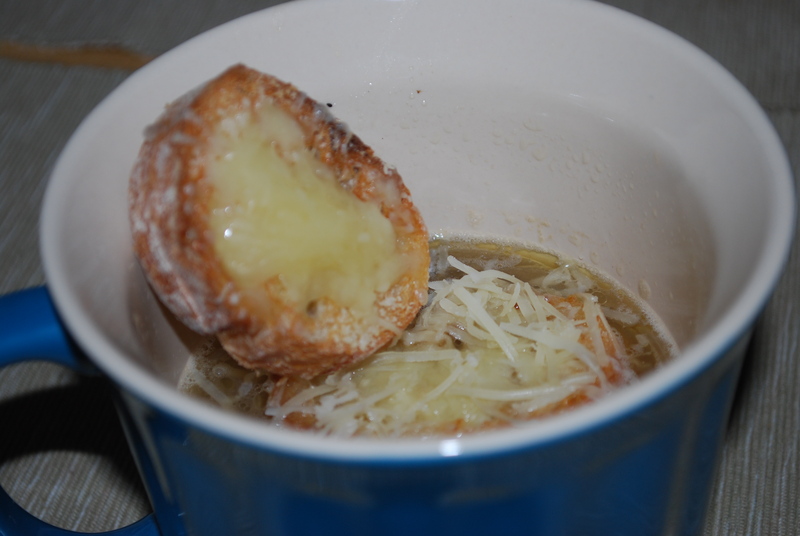 When your soup is almost done, preheat the oven to broil and cut 4 slices of French bread. 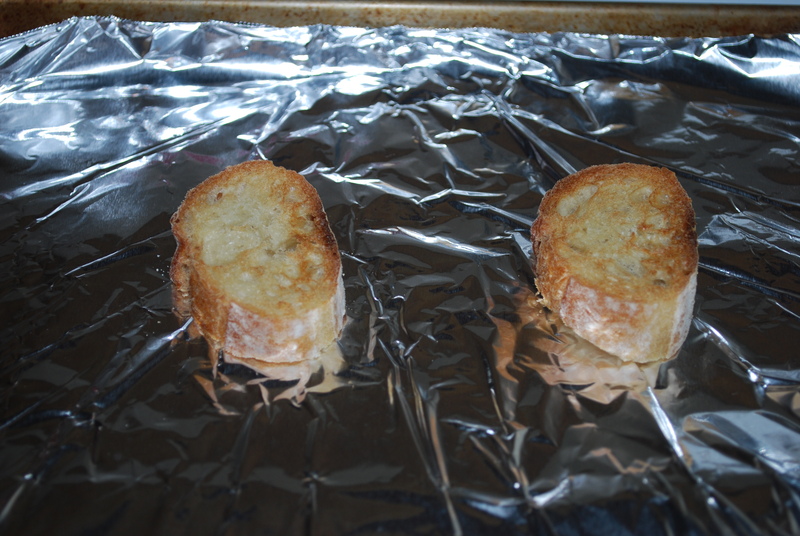 Toast 1 side of the bread, then remove from the oven, flip, and add 1/4 cup Gruyere cheese and 2 Tbsp Parmesan cheese to the top, dividing evenly between each slice. 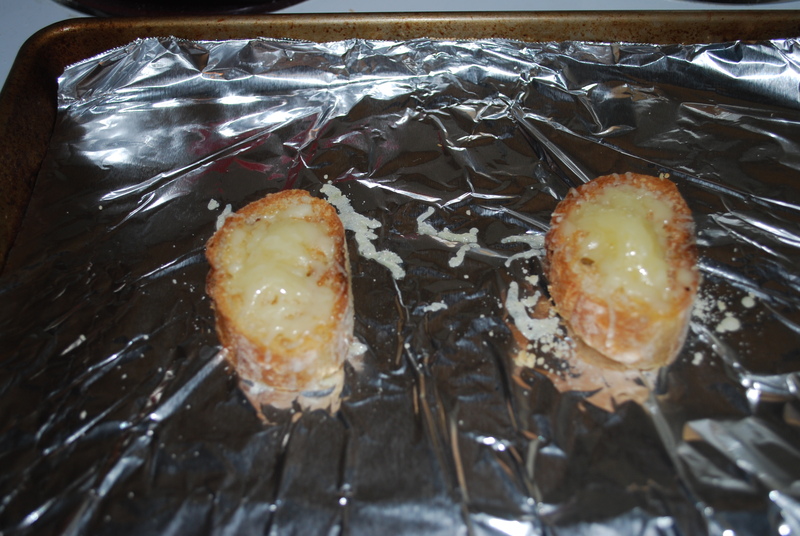 Place back under the broiler and broil until the cheese is melted. 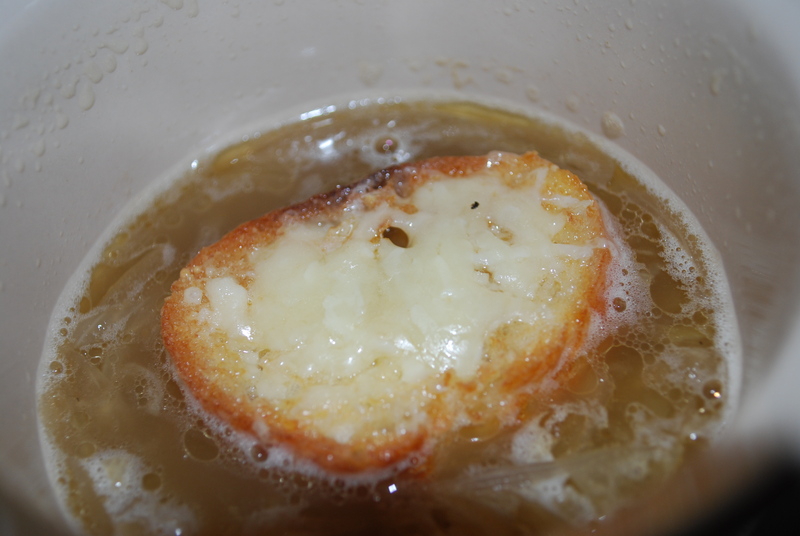 To serve: pour the soup into individual bowls and place a slice of bread on top of each one, cheese side up. 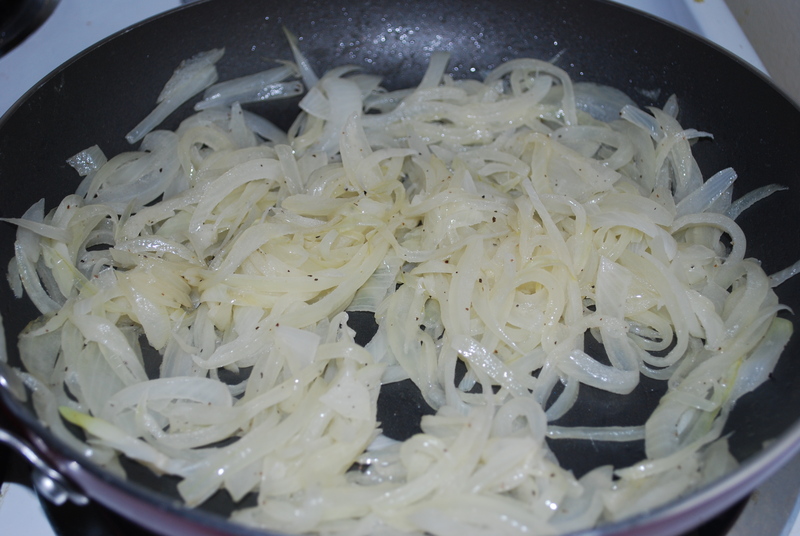 Melt butter in large skillet on medium-high heat and saute onion until golden (but not brown) – about 8 minutes. 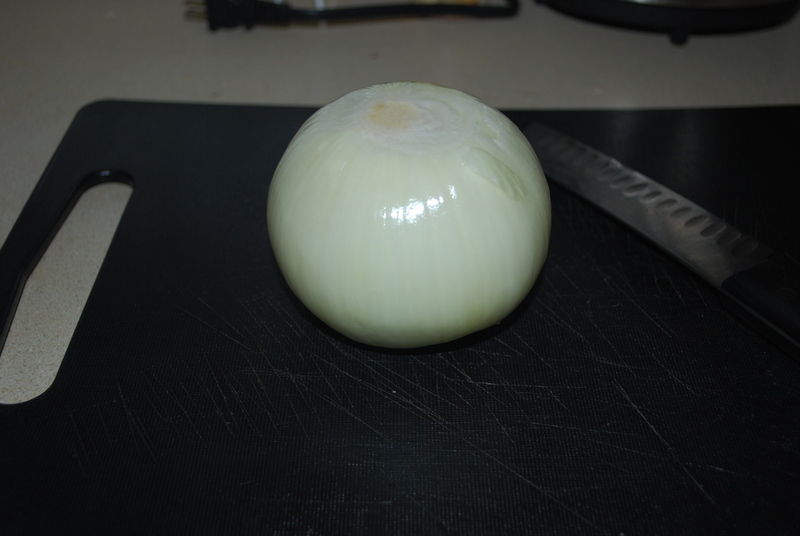 In medium saucepan, combine beef broth and sauteed onion; bring to boil. Reduce heat and simmer, covered, 30 mins. 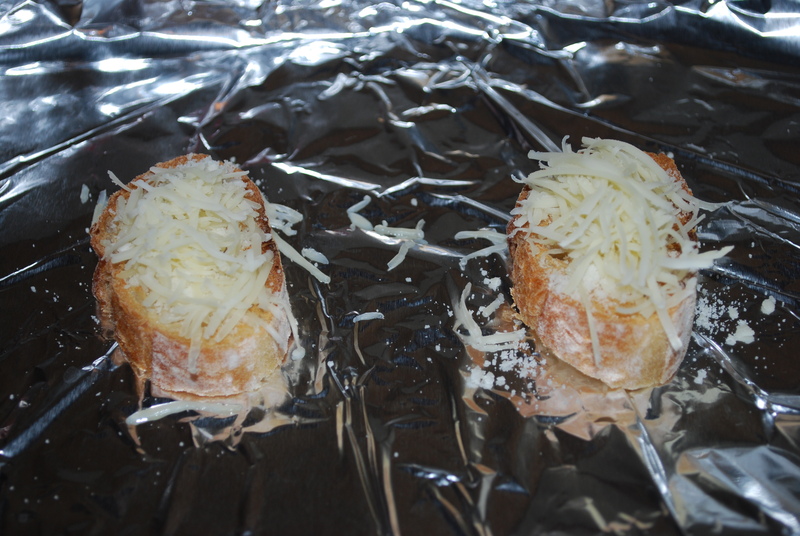 Meanwhile, in broiler, toast French bread slices on one side, flip, then add cheeses, dividing evenly. 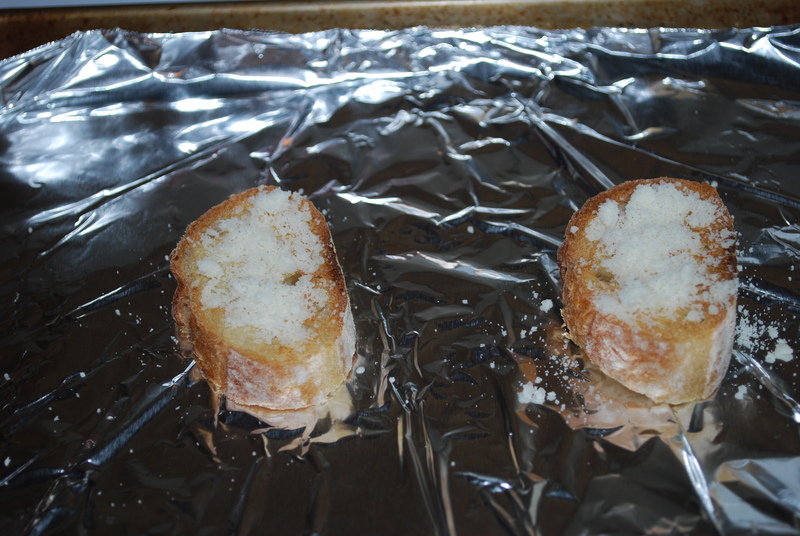 Place the bread back under the broiler, and broil until the cheese is bubbly. 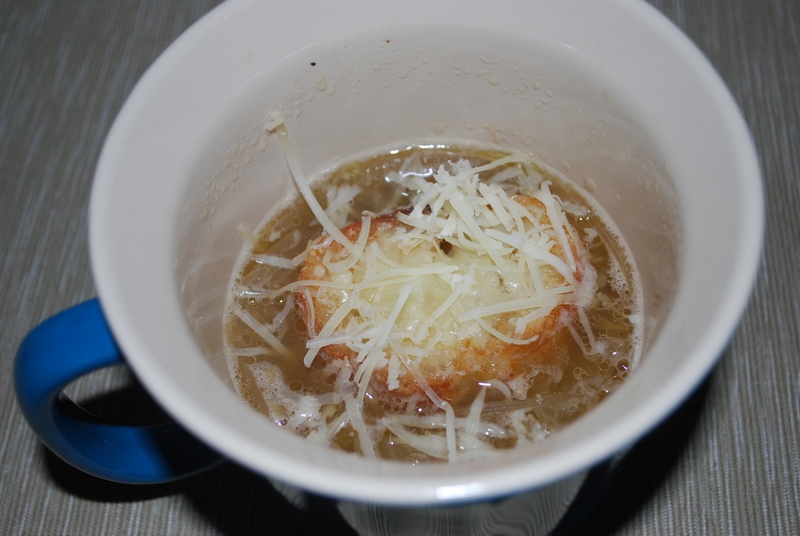 Pour soup into individual bowls then float toast on top, cheese side up. 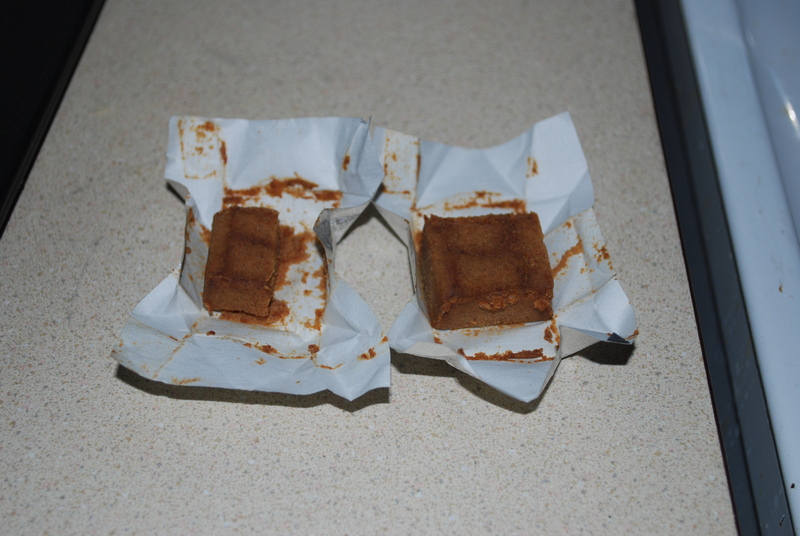 Note: Best when refrigerated overnight and reheated the next day. 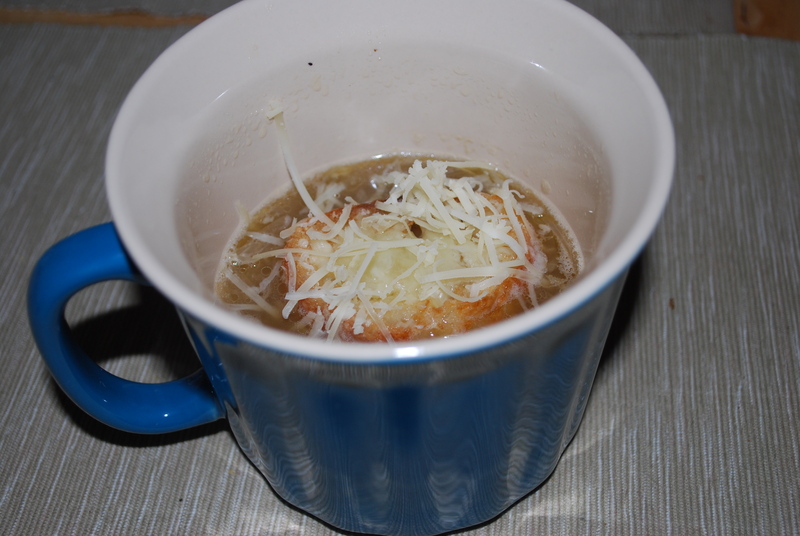 This entry was posted in Appetizers, Dinner, Lunch and tagged cheese, easy, french onion soup, onion. Bookmark the permalink.